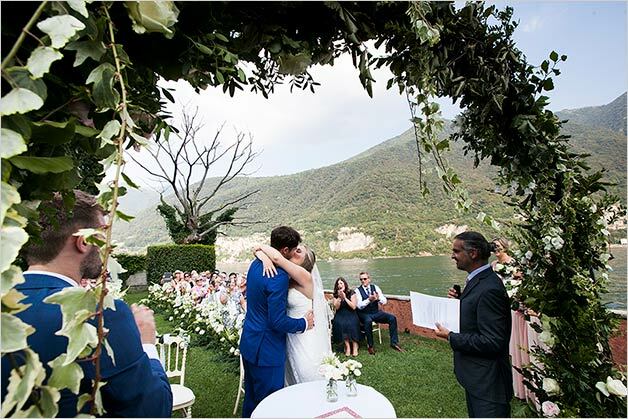 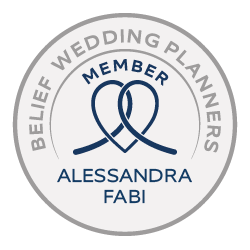 ur lovely couple was looking for a special place for their wedding… and Lake Como definitely offered them the perfect destination! 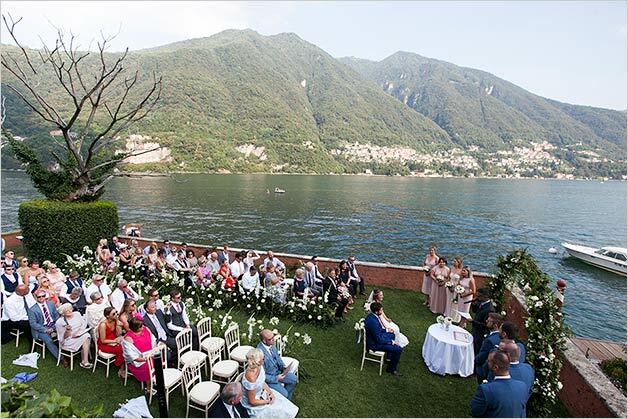 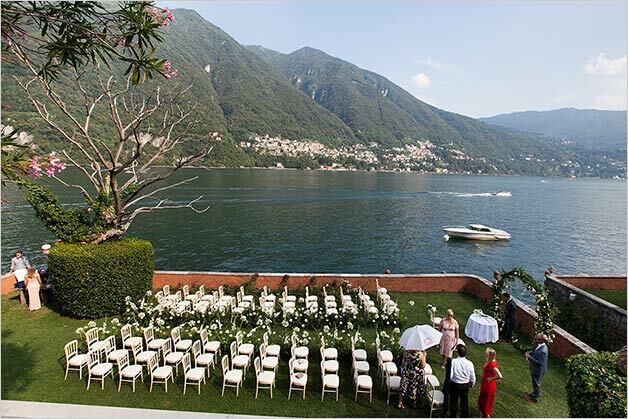 All guests travelled from Canada for Krista and Matthew’s wedding on Lake Como. 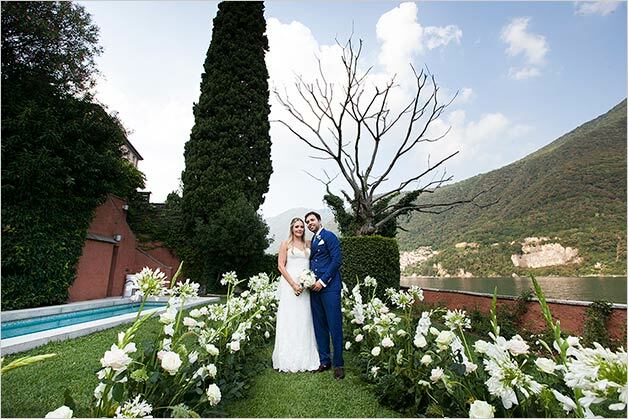 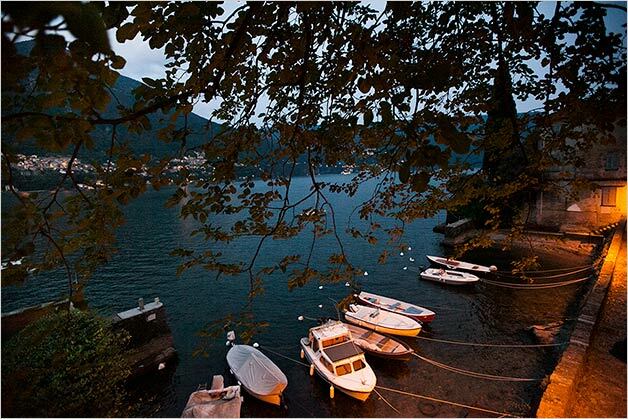 Bride and groom opted for a three-day staying at Villa Regina Teodolinda, one of the most beautiful villas on Lake Como. 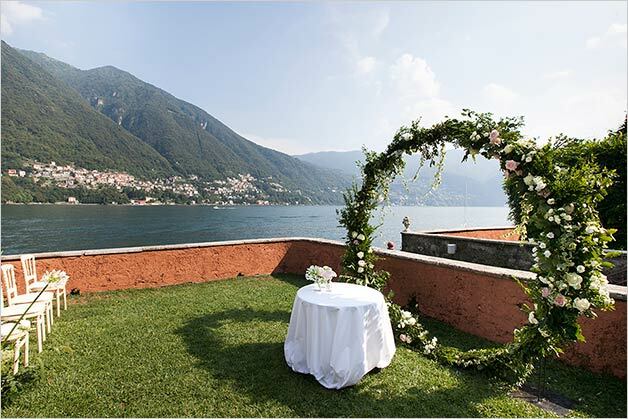 It is just here where they tied the knot and celebrate a great wedding day with families and friends. 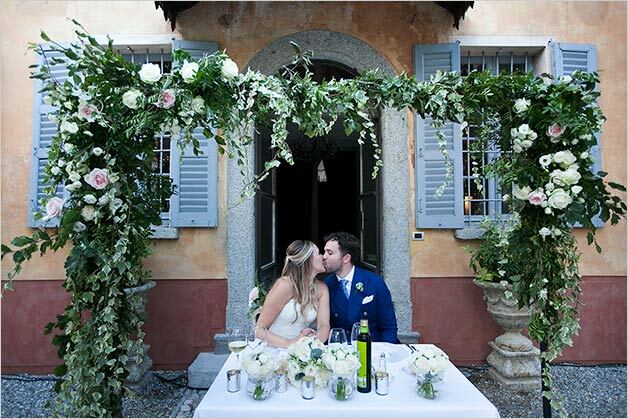 You can get inspired by wonderful shots by Alessandra Cavaliere photographer. 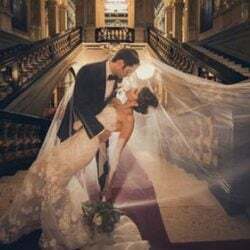 Bride and groom got ready in two separate rooms. 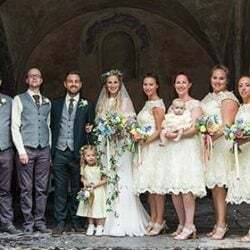 They had a fun and relaxing time with their bridesmaids and best men. 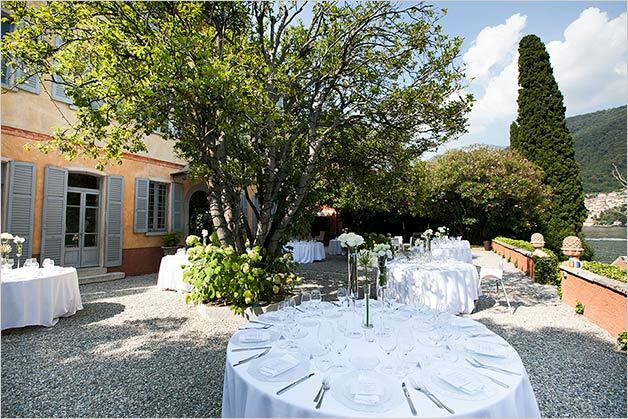 Guests enjoyed a perfect sunny afternoon in the garden of the villa waiting for the special moment of the wedding ceremony. 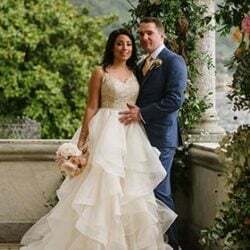 Krista and Matthew wanted a joyful and emotional wedding ceremony. 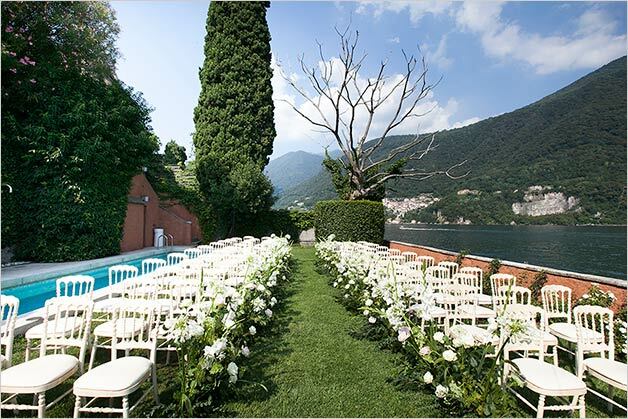 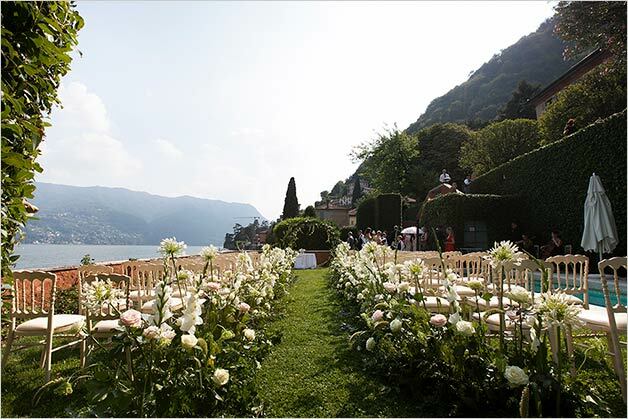 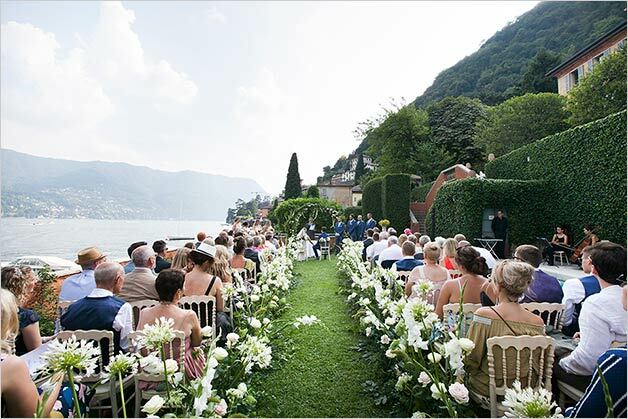 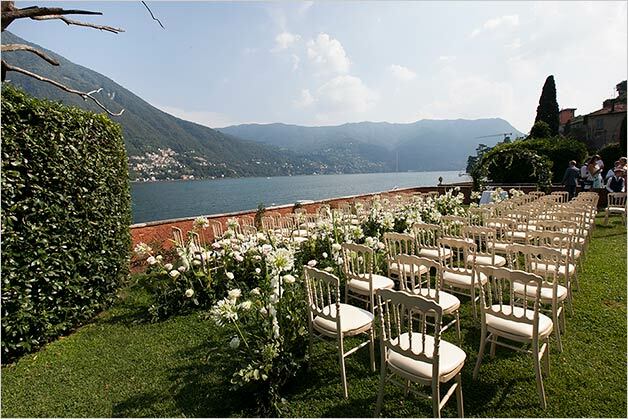 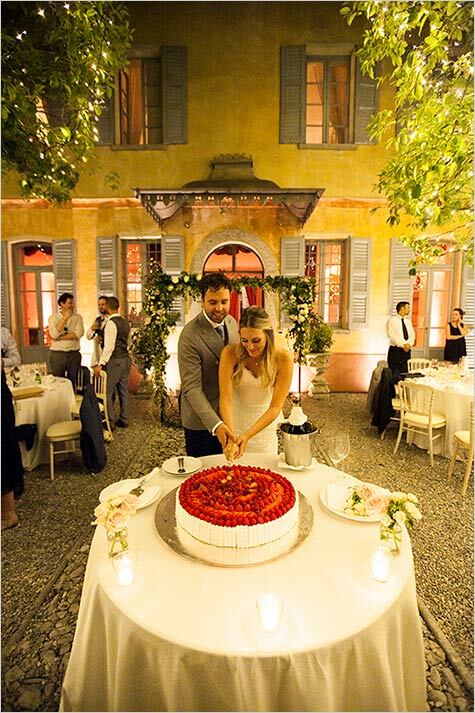 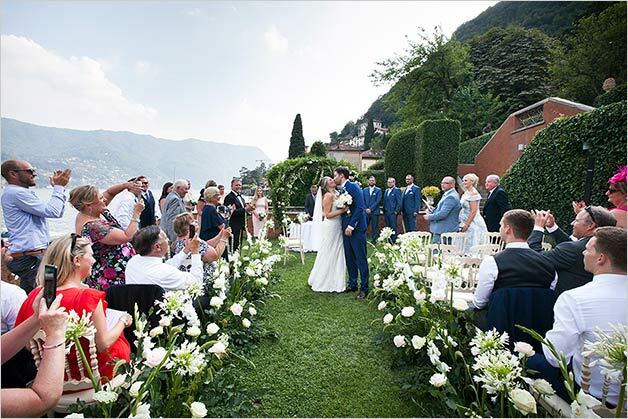 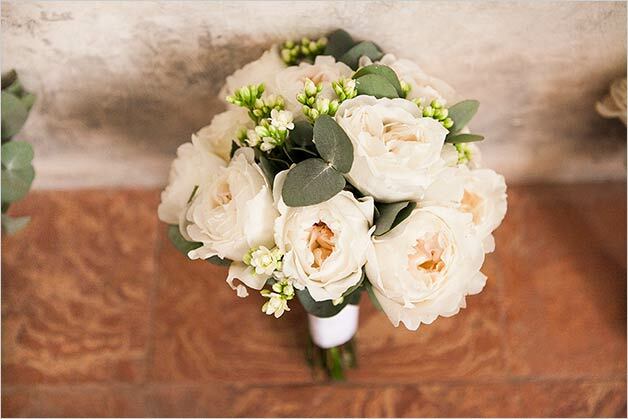 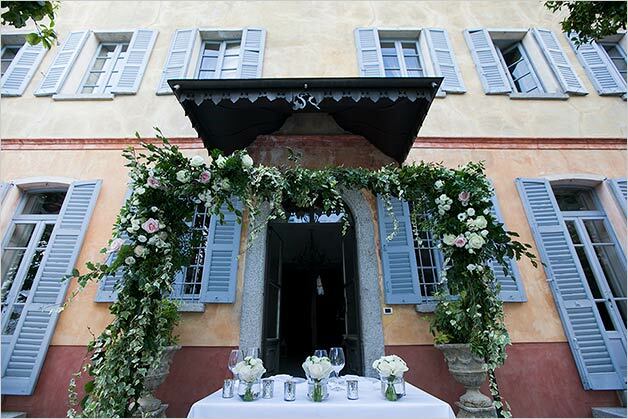 We planned it in a very romantic spot of Villa Regina Teodolinda: a beautiful terrace facing Lake Como, which had been set up with amazing flowers decorations. 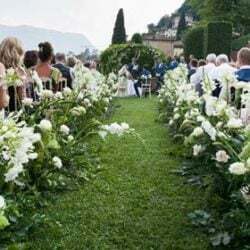 Family and friends gathered around the spouses who were overwhelmed by love, joy and the beautiful day they had been blessed with. 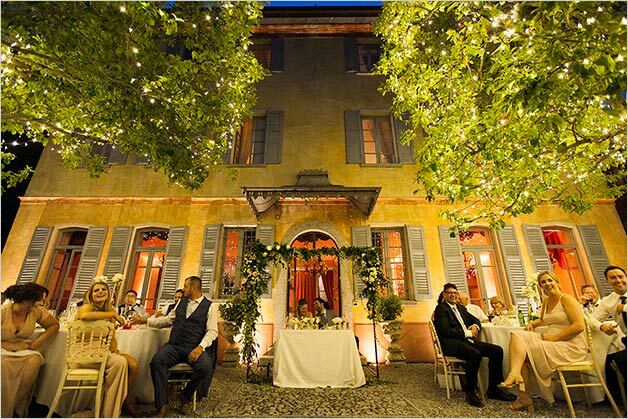 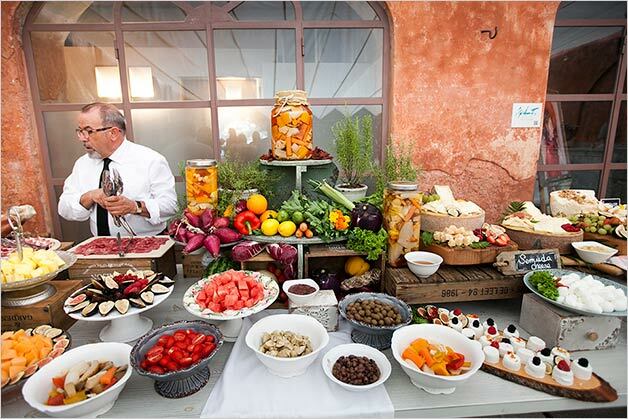 After the wedding ceremony at Villa Regina Teodolinda, bride and groom enjoyed a rich outdoor aperitif with their families and friends. 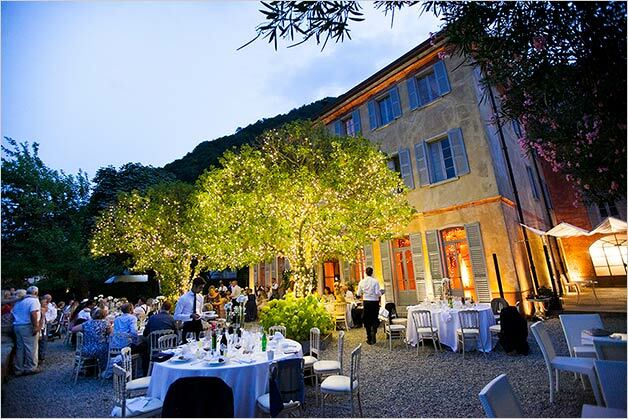 We planned reception to follow in the wonderful garden of Villa Regina Teodolinda. 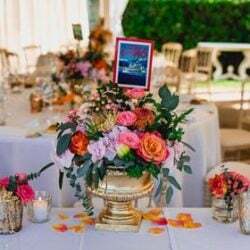 Bride and groom sat at a candlelit table facing their guests’. 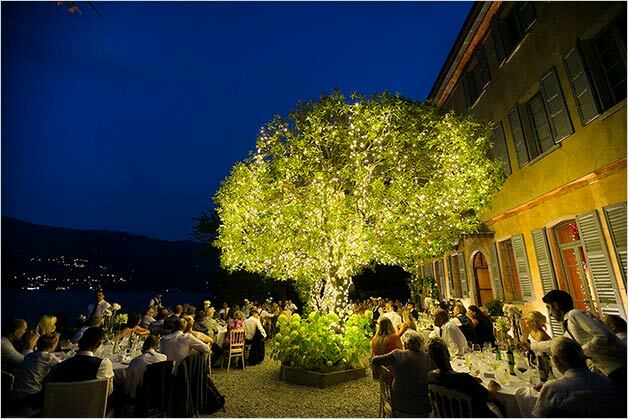 We set up the tables under two amazing enlightened trees. 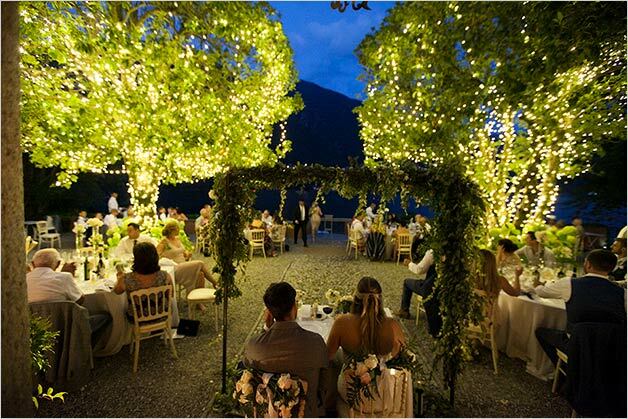 What a romantic atmosphere! 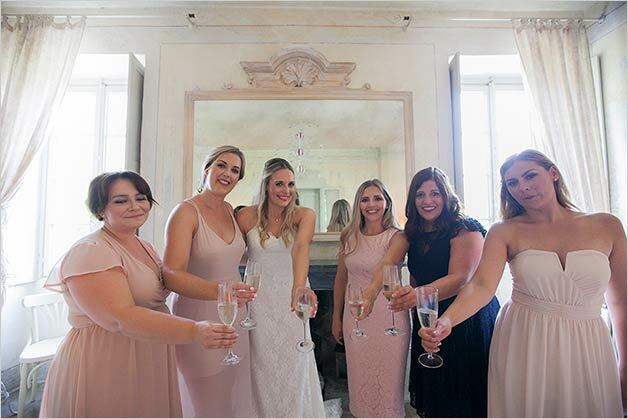 Their hearts were full of joy! 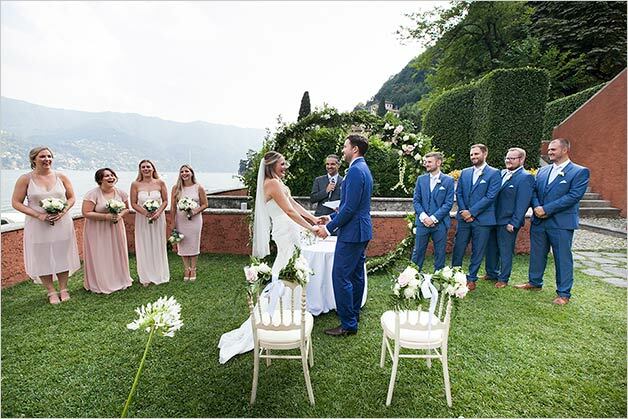 They all watched the sun disappear over the horizon and enjoyed sharing that special moment with their wedding guests. 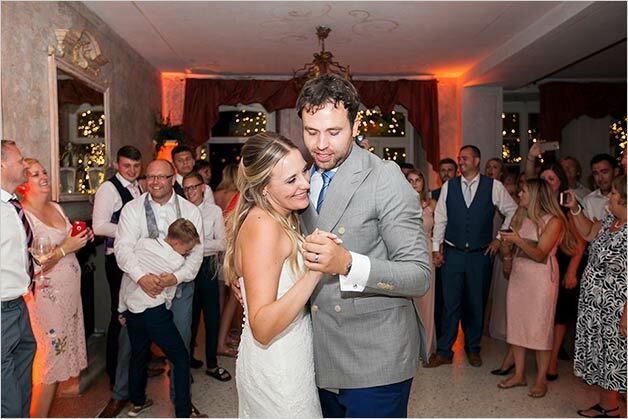 Everyone spent the evening dancing… we were all so happy! 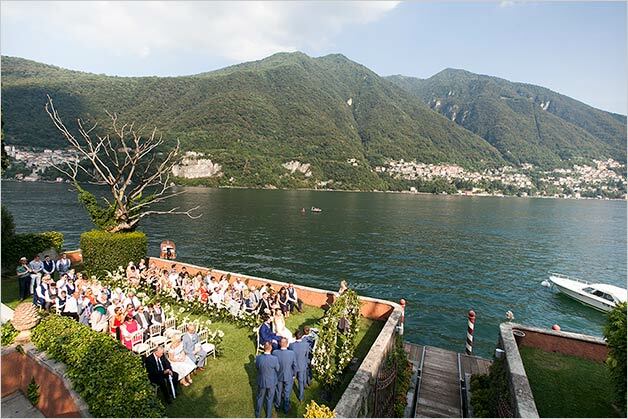 Everything was perfect and everyone had a great time they never forget on Lake Como!